- Cooperate with the type K Temp. probe. - Range : -100 to 1300 oC x 0.1 oC. 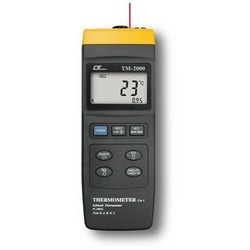 - 3 in 1, Infrared thermometer + Pt 100 ohm thermometer + Thermocouple (Type K/J/R/E/T ) thermometer. 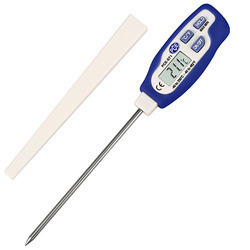 - The best professional thermometer in the world. - Microcomputer circuit with high performance.